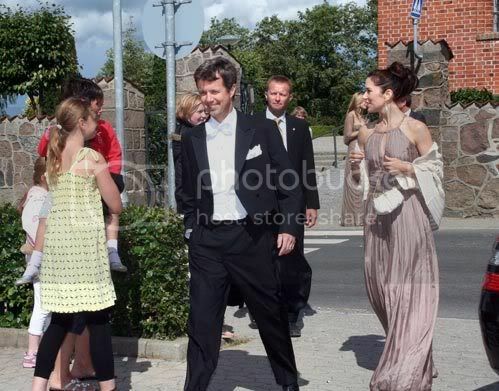 Last Saturday (14 June, 2008) Mary and Frederik attended the wedding of Marie Louise Flamand and Marc Høm at Kongsted Church in Rønnede and then later at Lystrup Castle. 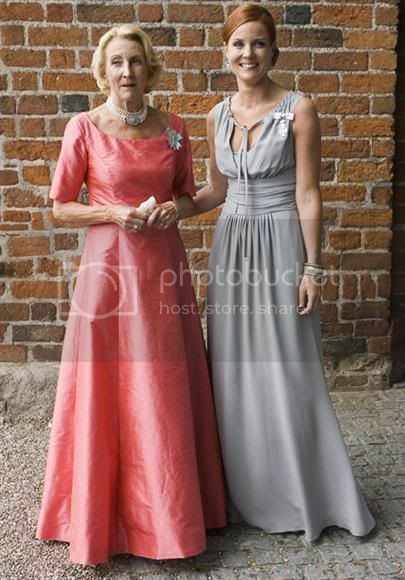 The bride was Marie-Louise Flamand, the daughter of Helle Moltke of Lystrup who married Marc Høm, a photographer. 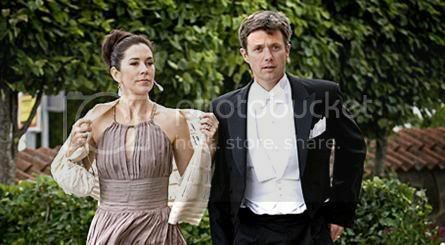 Marie-Louise's sister is Caroline Heering, Crown Princess Mary's private secretary, board member of the Mary Foundation and lady-in-waiting. 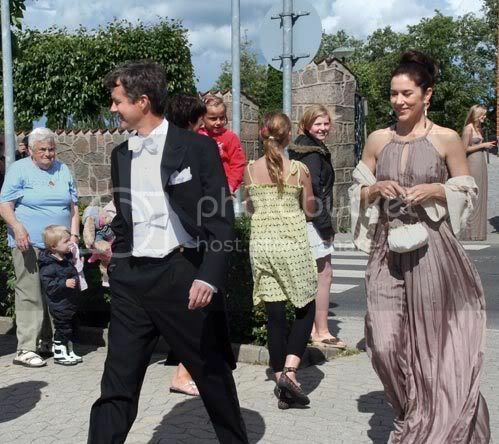 After the wedding the newly married couple drove in an open carriage to Lystrup Castle where all the guests gathered. Later still they all drove the short distance to Jomfruens Egede where the wedding party was held and then back to Lystrup for more late night partying. Mary and Frederik drove to the wedding in their Maserati and parked in the small carpark beside Kongsted Sparekasse. After the wedding ceremony they warmly greeted the locals who had heard they were among the guests. There were 150 guests at the wedding also including actress Connie Nielsen with her 13 month old son Bryce Thadeus. Her partner Lars Ulrich of Metallica fame stayed in the U.S. for a Metallica concert. Connie and Frederik and Mary greeted each other warmly, although Frederik perhaps missed seeing his old friend Lars Ulrich. The groom is a photographer and the bride has just finished psychology studies at Copenhagen University. ...the groom Marc Høm is one of the world's most sought after portrait photographers, the bride Marie-Louise Flamand - one of Helle Moltke's two daughters, the other is Caroline-Heering, Crown Princess Mary's Lady-in-Waiting - has just completed her psychology studies and the couple lives in both Copenhagen and New York. 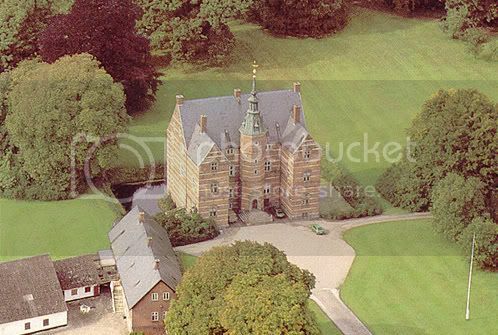 The wedding was at Kongsted Church and the party was given at Lystrup Slot and at the assembly rooms at Jomfruens Egede, which is part of the Lystrup estate .